We had to catch a plane … Florence and I had never flown before. We were surprised to see Walter Huston on the plane. A couple came up to us and asked if we were the Jack Cole Dancers …they had seen us in Miami and thought we were the greatest. We told them we were on our way to make a movie. We arrived at Burbank Airport; they had camera men there not really for us but for Mr. Huston. 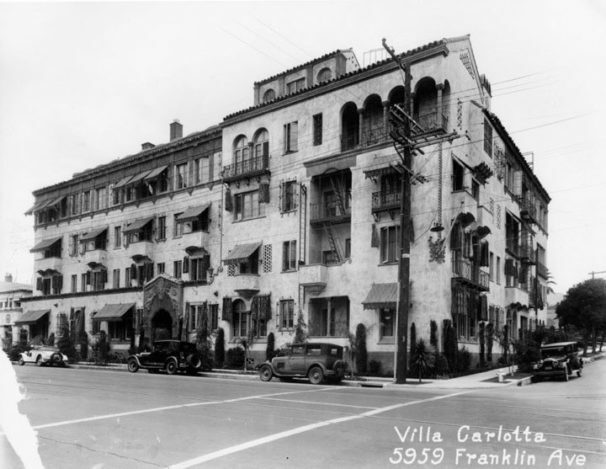 But they did have a limo for us and took us to the Villa Carlotta in Hollywood where we stayed. They had a studio apartment for us with kitchen and beautiful garden outside the French windows. I fell in love with California. Jack felt the same way, but Florence remained true to her New York. They offered Jack a limo to use but Jack refused it. We were furious as it was expensive to take a cab out and back to 20th Century Fox. 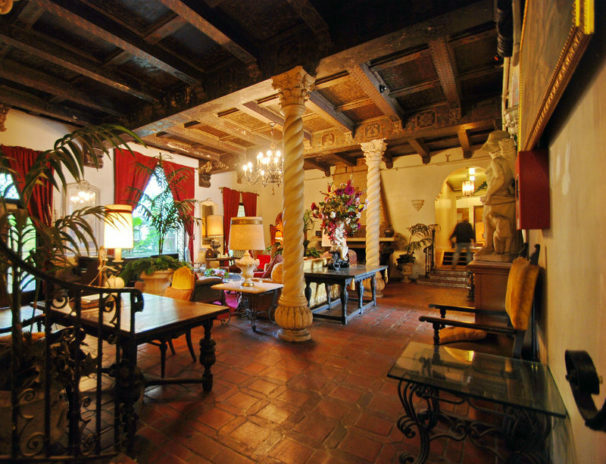 The 50-unit, sprawling Spanish colonial apartment building dating from 1926 still stands … and is undergoing rehab.